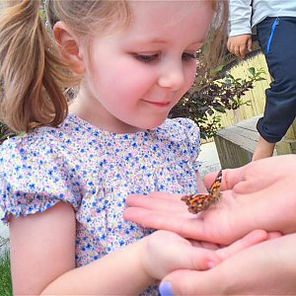 Chrysalis Preschool & Kindergarten | Letting the butterflies GO! This past week was nothing less than magical. The little caterpillars that we’d taken care of for over a month, had become butterflies. It was time to let them go! This is always difficult for me. I don’t like the thought of them flying away from us. Once we held them in our hands though, we knew it was fine and that they’d be okay. It was beautiful!